The rise of e-commerce has ramped up the challenges associated with those peak seasons, which adds yet another enemy to conquer on your quest for warehouse dominance. So, what are some of most popular peak season threats, and how can you attack these to strengthen your 3PLs effectiveness. When beginning to sharpen your sword with any eye towards the peak (season that is), examine these aspects of improvement to give you an edge in the trenches. 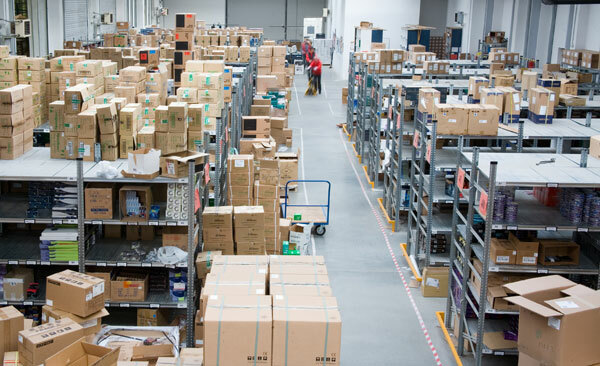 Whether it’s adding a new feature to your automated network via pick-to-light and put-to-light, expanding existing infrastructure such as a conveyor system, or maintaining your current army of automation through quality service, the need to have efficient automation within your 3PL is critical. Investing in systems that can handle the large amounts associated with peak season increases fulfillment success for both you and your clients. Failure to quickly and accurately read codes at the scanning stage will drastically impact throughput, efficiency, and deliverability. Quality bar code readers utilize high-speed technology to increase destination accuracy by scanning to verify the labels applied are readable and correct when compared to order pick records. In working with your automation, an upgrade in scanning products can boost accurate sorting. Paper-based methods of fulfillment are inaccurate, less productive and typically very difficult to train temporary workers on. Eliminating these manual processes from your operation can help your company elevate its performance and drive its growth. To be more flexible not just during peak season but all year, implementing a WMS System can help you wrestle control of your processes from the cold grasp of uncertainty. Possibly the largest dragon of them all, but one that you can bend to your will with the right attitude. Understanding why employees choose a warehouse to work in is paramount to keeping them happy, efficient and returning to help your army when the battle cry is yelled. Offering unique perks and a positive environment can work wonders for helping your location be viewed as the one to help. Your employees will remember that you always pay your debts. While these players are highlighted areas for improvement, they most certainly aren’t the only enemies of a good warehouse during peak season. With forward thinking and a willingness to improve for battle, you can cross the Narrow Sea and claim the Iron Throne for your 3PL!